Once you’re past the stage of creating traffic and at least some sales or leads, the next thing you want to do is to make sure you are actually getting the most conversions you can out of your users. 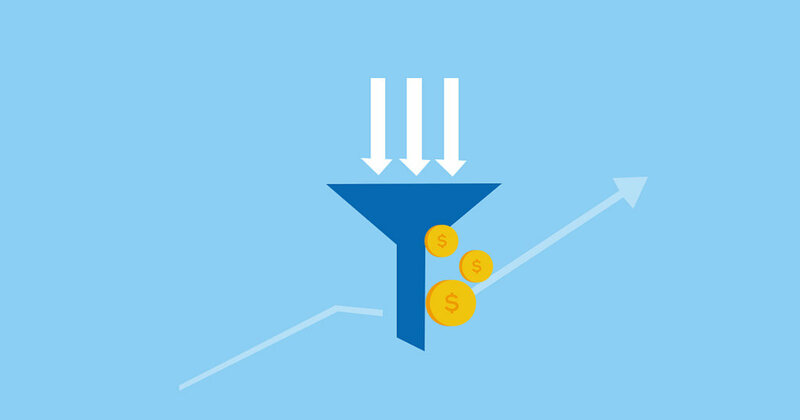 Even a small increase in conversion rate, from say 1% to 1.25% can mean a 25% increase in absolute sales or leads. So what’s the best way to go about that? Bellow you can find a few design elements that are bound to move the needle in the right direction, and will give you sufficient hypotheses for your own A/B tests. People trust other people and are much more willing to buy a product if someone else has had a good experience with it. For this reason, always try to attach a customer review on your landing page. But keep in mind that customers are savvy, and will spot a fake review quickly. So, be ethical, and only point to true reviews from users, and actually link to them so people can see they are genuine. Ideally, try to collect your reviews on a neutral and respectable platform such as TrustPilot. Also, if you have visual cues of your reviews, such as stars or ratings, be sure to include those too. The principle is similar to user testimonials, only that they are more in-depth. These can be a sort of mini-interview or video, where the customer details more in-depth how the product has made their life better. This is one of the more “careful how you use it” type of design elements since pricing is such a delicate balance and varies wildly from one business to another. Ideally, you want to use discounts and offers very strategically, to nudge certain users (but not others) into buying your product. For instance, you may want to create dynamic pricing for users who visit your page 3-4 times. They are obviously interested in the product, but there’s something that keeps holding them back. By creating a landing page with dynamic content that changes according to user behavior, then you can create a much more granular and strategic approach that targets just the right user to help you increase sales. On the flipside, you can even try to increase prices. While this will likely hurt conversion rates, the increase in order value could be enough to entirely offset the losses. Below is a before / after optimization process for a company called Server Density. Pop-ups have a bad reputation when it comes to user experience, and truth be told, a lot of the times these are justified. The flipside of the argument however, is that they work. This is because the unobtrusive methods of lead collection, such as a static lead form always present on the side of a page, simply fade into the background for most users. They simply don’t notice the lead forms are there, no matter how flashy the images and copy are. So how do you balance the need for both user experience and lead generation? Proper targeting and dynamic rules. Exit intent pop-ups trigger whenever a user is about to leave your page. They work great, because you don’t both a user while they are reading / watching your content. Instead, you just gently remind them if they want to hear from you in the future. Dynamic rules that target users based on how many pages they’ve viewed, or if they’ve scrolled down to the bottom of the article. In both cases, they’ve shown to be highly engaged, and so be more receptive to further communication from you. 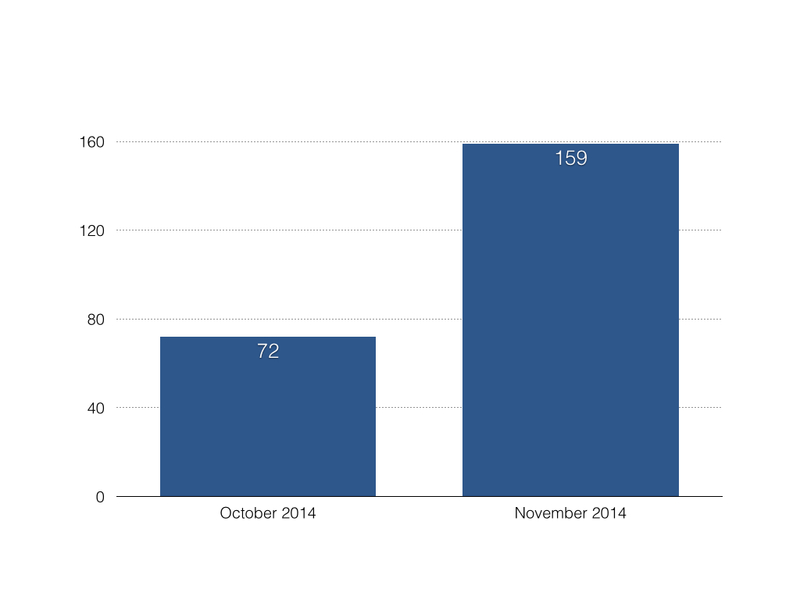 Below is a chart that shows how pop-ups helped a small blogger increase email signups over the course of just 1 month. Some users are apprehensive about buying stuff online because they don’t know if they will like the product once they actually have it. So instead of taking the risk, they opt not to buy in the first place. Money back guarantees are a solution to this problem and give potential customers the peace of mind of knowing they can get their money back if there is little chemistry between them and your product. Did you know that abandoned cart rates can be as high as 70-80 %? That’s a huge figure, so even if you’ve done all the hard work of actually convincing users to click the “Buy” button, you’re still not getting sales because you’re losing them in the shopping cart. Keep the number of fields as small as possible. Users are lazy, and will always look for reasons to avoid buying something, completing a field is certainly one of them. As much as possible, keep everything on one page. A large part of your users will drop off if they have to reload another page. Keep it as clean and distraction-free as possible. Keep the user and fields, and that’s it. You can make an exception to rule #3, if you add elements that increase user trust that his money is safe, such as money back guarantees, encrypted and secure payment, etc. Try to convert the price into his currency. Familiarity breeds security, and security encourages users to part with their money more easily. If you want to go more in-depth on the subject, be sure to check out this dedicated article on countering high abandoned cart rates. Some websites operate in niches that are regulated or have established industry standards such as electrical engineers, plumbers, jewelers, watchmakers, etc. These sites can get a boost in trust by attaching seals of quality, certifications or awards. 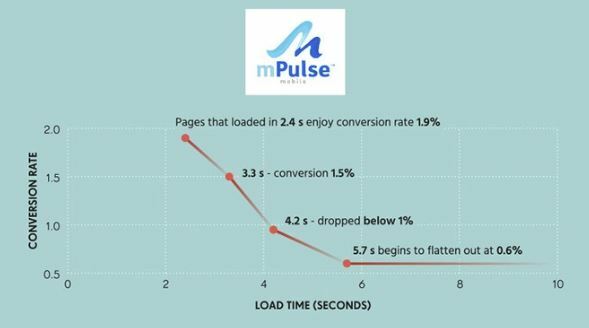 Page speed doesn’t immediately come to mind as a design element that helps conversions. But many users are impatient and simply won’t wait more than 3-4 seconds for a page to load. The fewer users you have, then the fewer possible conversions. For this reason, make sure your page loads as fast as possible. Use caching, image compression and a better web host to increase loading speed, and thus conversions. Below is a relevant section from a comprehensive infographic, that explores how page speed affects all aspects of a website. No matter how you choose to monetize your website, conversion rate is a crucial step in the process, since it can greatly increase your income simply by better leveraging the customers and visitors you already have. It’s for this reason, that every business and marketer should allocate an important part of their efforts to.